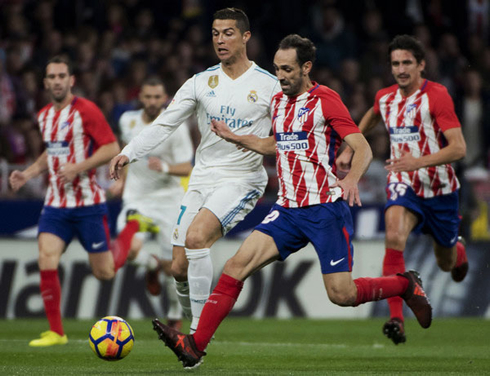 It's been an intense derby at the Wandra Metropolitano like many had previewed, but no one could predict that we would end up with a goalless draw. Atletico and Real Madrid didn't score tonight and Barcelona has now a comfortable 10-point lead over the two. There were chances of course, for both teams in fact. In the first minutes of the match, Angel Correa almost capitalized on a disastrous Varane mishit, but he spurned his opportunity. Ronaldo had a few chances but again, luck was not on his side. Sergio Ramos went off on the half after being kicked in the face and we'll have to see how long he may be out. Real Madrid now sit a full 10 points behind Barcelona and honestly, it's looking very unlikely that they find enough form to return to the title race, but it's still only November and stranger things have happened. Today's game, however, was a bit encouraging even if the result isn't. Madrid moved the ball well in midfield and the likes of Isco, Modric and Kroos were able to make their imprint on the match. Ronaldo and Benzema had some decent moments in attack, but we seem to be sorely missing some dynamism in the final third. 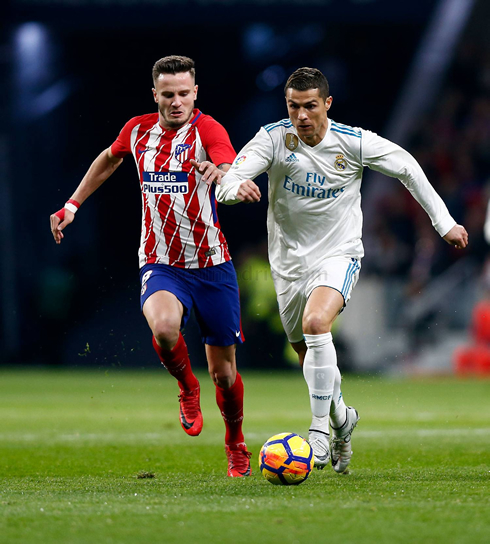 Ronaldo's age and changing role means we are essentially missing a forward on the pitch with the ability to make things happen when the defenses are packed tight. This leads to us crossing the ball over and over again, a strategy that teams seem to have figured out. Madrid need to examine their plan of attack. But perhaps such grandiose solutions are not needed, after all, maybe Madrid and specifically Ronaldo just need to see the ball hit the back of the net more. Ronaldo is still stuck on 1 league goal for the entire campaign so far and it appears that the 5-game suspension hampered his rhythm so badly that he's having a rough time recovering. 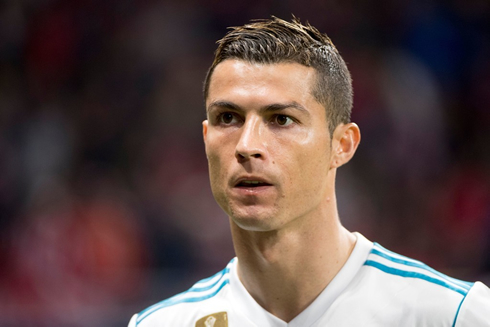 You can see the frustration game after game, this is one of the most prominent slumps in Ronaldo's career and at 32, getting out of his current drought may be one of the biggest challenges of his career. Cristiano Ronaldo next game for Real Madrid is on November 21 of 2017 against APOEL Nicosia. You can watch Juventus live stream, APOEL Nicosia vs Real Madrid, Sevilla vs Liverpool, Manchester City vs Feyenoord, Borussia Dortmund vs Tottenham, and Besiktas vs FC Porto, all matches provided from our sports streaming game pages.